Alcohol, opiates, cocaine and marijuana, among other drugs, have been used and abused for millennia. Prior to the disease model approach to drug addiction, which posits that addiction is a psychological and biological problem and that sufferers are victims, societies had a workable solution: let people consume what they want, and let informal cultural controls reinforce responsible behavior. Legal sanctions were reserved for any use that affected the safety of others. 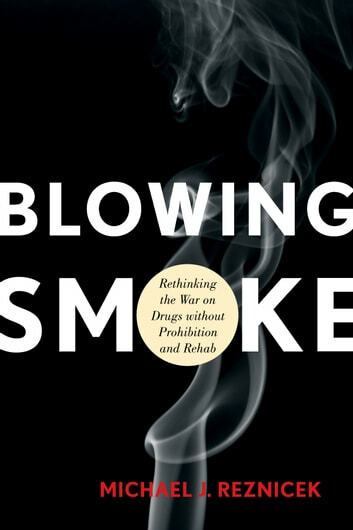 Blowing Smoke proposes an approach to the war on drugs that returns us to the pre-disease-model era. Dr. Reznicek asserts that addiction is not a medical problem to be treated in rehab or by prohibiting substance use. 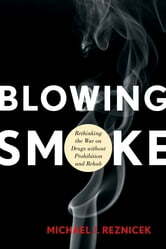 Rather, he debunks the disease model, arguing that it has exacerbated the problem by telling drug abusers that they are not responsible for their behavior, that they are sick, that they are not to blame. He skillfully argues for a new approach to drug use and abuse that requires a shift in the way we fight the war on drugs. Dr. Reznicek provides a new framework for understanding drug abuse: the habit model. Habits are practiced as long as they provide comfort, and are abandoned when they cause pain. The habit model is more consistent with current neuroscientific knowledge and it accounts for the widely observed phenomenon that most substance abusers don’t change until they “hit bottom,” the point where the consequences of drug use finally outweigh its benefits. Using the habit model, Dr. Reznicek suggests the solution to the drug problem is to turn back the clock, and to take lessons from societies that use social controls and consequences to deal with addiction and drug abuse. He recommends the legalization of drugs for adults, the implementation of social practices to dissuade abusers, and the end to the use of rehab as a way of handling addiction. Blowing Smoke shows how such an iconoclastic approach can work for us today.